808 Silver Sink is a fantastic choice for those looking for an extremely high-quality, attractive sink. The state-of-the-art composition contains a balance of 80-percent quartz and 20-percent acrylic. This makes for an incredibly dense, nearly impervious substance which not only looks great, but also is nearly impossible to scratch, stain, or burn. 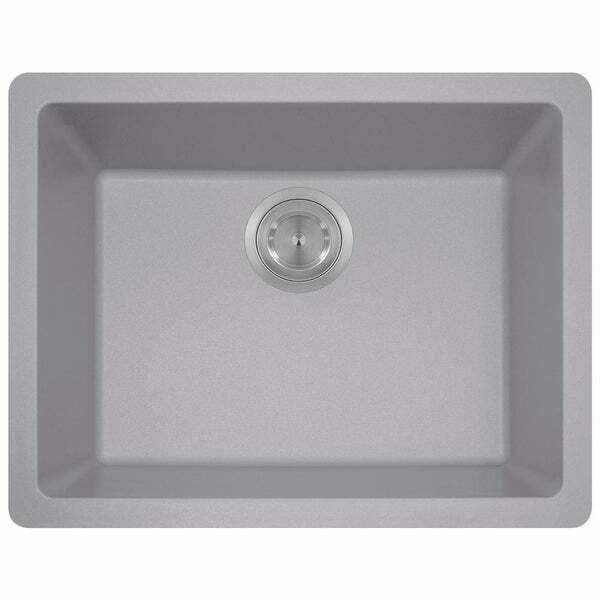 This model features a mid-sized rectangular sink with an offset drain in a sleek silver color. Dimensions 17.0 In. X 22.0 In. X 8.0 In.